Explore a modern take on Jewish life. Engage with Jewish values, celebrations, and spirituality. Voice your questions, discover multiple perspectives, and find what could be meaningful to you in liberal Judaism. Basic Judaism is an engaging 18- 24 session course for anyone who wants to gain a deeper understanding of Jewish life through a Reform lens. Open to all, this course is meant for individuals and couples from Jewish and various faith traditions and cultural backgrounds and those who have had no religious upbringing. The course is perfect for interfaith couples, those raising Jewish children, spiritual seekers, individuals considering conversion, and Jews who want a meaningful adult Jewish learning experience. Join our class where everyone and their questions are welcomed. Topics include holidays, life cycle celebrations, theology and core beliefs, Hebrew, prayer, the Bible and other sacred texts, history, anti-Semitism and the Holocaust, Zionism and Israel, the American Jewish experience, and the tapestry of the Jewish people today. 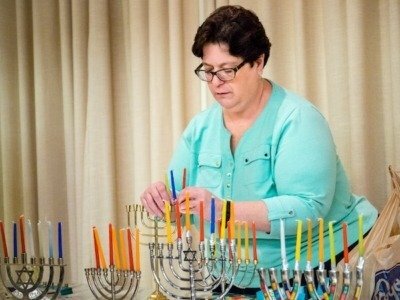 Our Basic Judaism course, which reflects the approach of Reform Judaism, is taught by our Temple rabbis. Our outstanding and experienced rabbis encourage students to raise questions and engage deeply and personally with all topics.